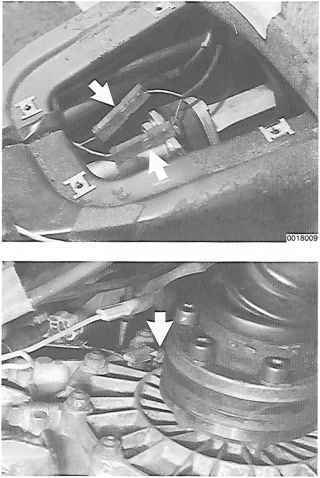 Following modifications are applicable to central electric of all cars, including Rest of World models, due to the installation of the "Airbag System". • New central electric wiring. • Considerable changes in connections of fuses, relays and plugs. • One basic equipment version worldwide. • Central electric board is moved further forward because of space problems and mounting is new. Wire harnesses no longer lead in from below, but from the side. • Cover of the central electric board can no longer be folded up, but instead is mounted on holders and can be removed. • Equipment connection card is fastened on the back of the cover. 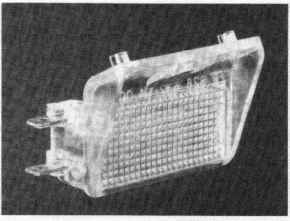 Central electric is illuminated (only the airbag version). Lamp is located on the back of the glove box. 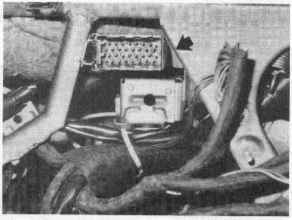 The 30-pin plug for the instrument wire harness is mounted next to the steering column on the left-hand side. Installation of the cowl on the steering lock carrier is new. Slides bolted on the instrument cowl are mounted on the steering lock carrier with springs and connectors. In case of an accident the steering can therefore be pushed together without restriction, since the instrument cowl will be disengaged when in contact with the dashboard and dashboard's crosspipe. 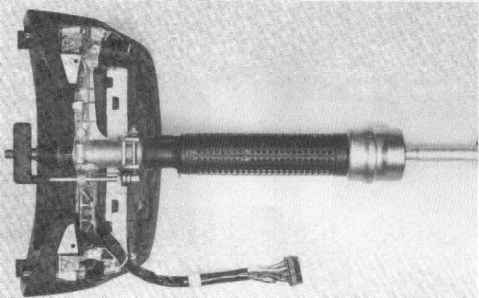 Instrument cowl bolted with connector and steering lock carrier. 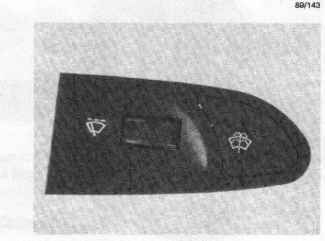 Instrument cowl in disengaged position. 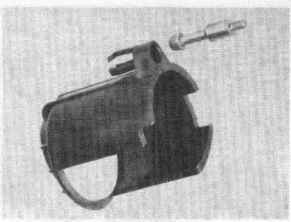 Steering lock switch has a cover to prevent contact between the positive lead and ground. Reset button in the center console is omitted. Reset button and instrument light potentiometer are located in the cowl to the left. 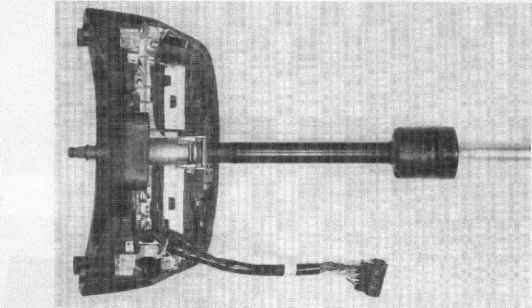 Potentiometer for intermittent wiping and button for intensive cleaning are located in the cowl to the right. Connection point of the door wire harness was moved from the A-pillar into the door. It is located behind the trim panel below the radio speaker openings. 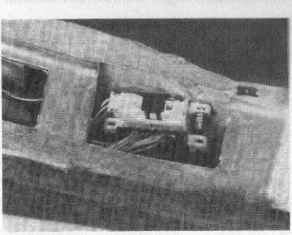 The 26-pin plug in the door (yellow connection point) with adapter is new. 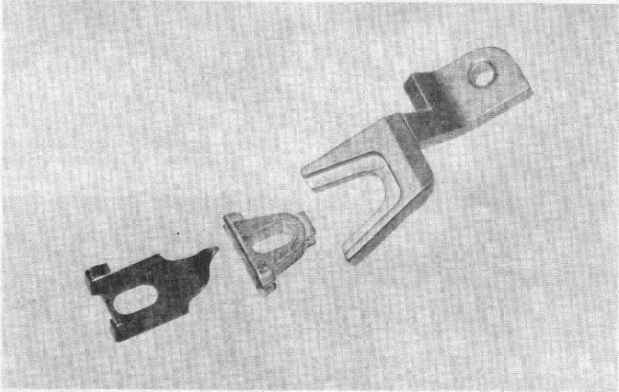 This plug is disconnected by disengaging and pulling out the center piece, which serves as a pulling off grip. 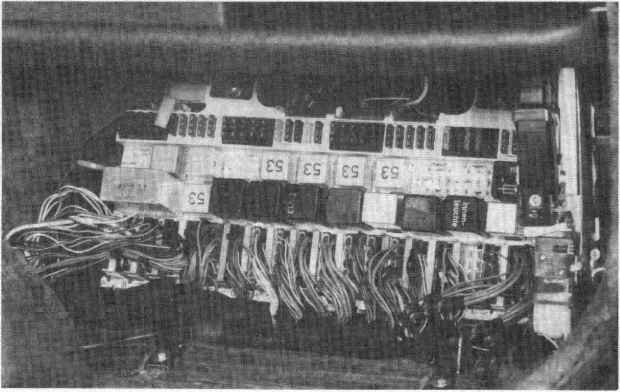 The same type of plug is used behind the central electric board to the right (wire harness KS 3/KS 4 connection point). 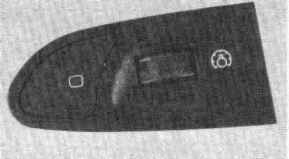 The alarm control unit of cars with an airbag system is mounted together with the lamp control unit on a bracket to the right of the glove box behind a trim panel.